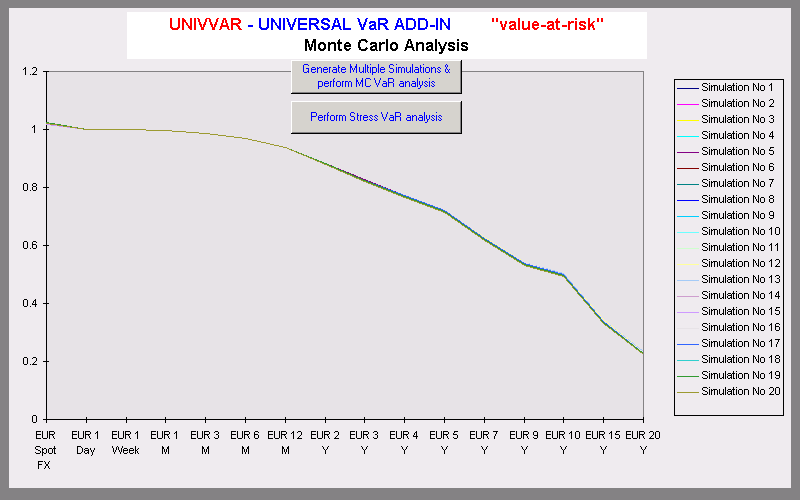 UNIVVAR - UNIVVAR - Universal VaR Add-in "Value-at-Risk"
UNIVVAR calculates a portfolio's exposure to market risk and expresses the exposure in terms of Value-at-Risk (VaR). It also calculates "Incremental VaR" (the incremental effect of a single trade on the whole portfolio's VaR). 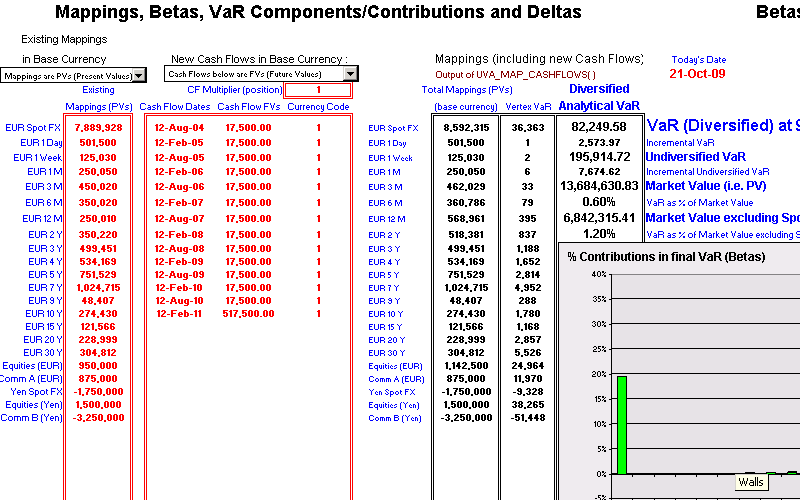 Cash flows are automatically mapped to multiple vertices. 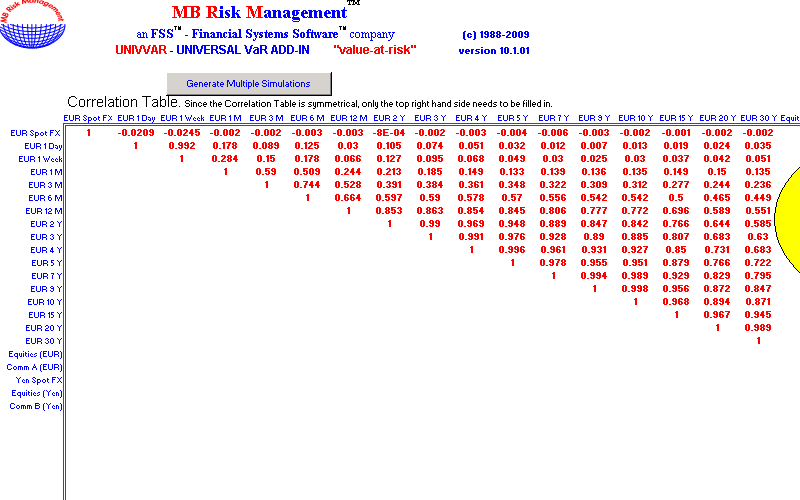 Automatic calculation and comparison of Analytical, Monte Carlo, stress and historical VaR enhances risk management. Whilst the add-in calculates the historical variances and correlations between assets, UNIVVAR also supports historical Garch simulation without variance/correlation matrices, which considerably improves robustness and accuracy. 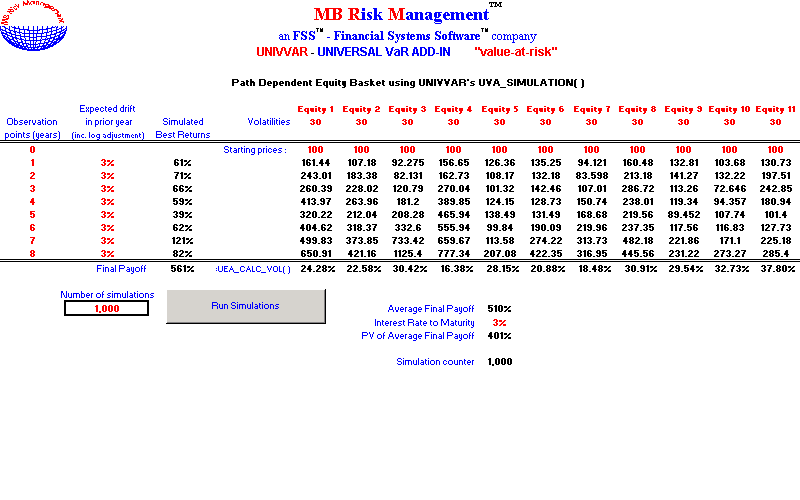 Calculates Value-at-Risk (VaR) for multi asset portfolios. Analyses Incremental VaR : the incremental effect of a single trade on total VaR. Ability to enter stress testing scenarios and historical (back testing) scenarios. Historical Garch simulation without variance/correlation matrices, which considerably improves robustness and accuracy. Assets handles include Commodities, Energy, Equities, Fixed income, Foreign Exchange and Money Markets. Useful for the analysis of complex multi asset dependent options and securities portfolios. 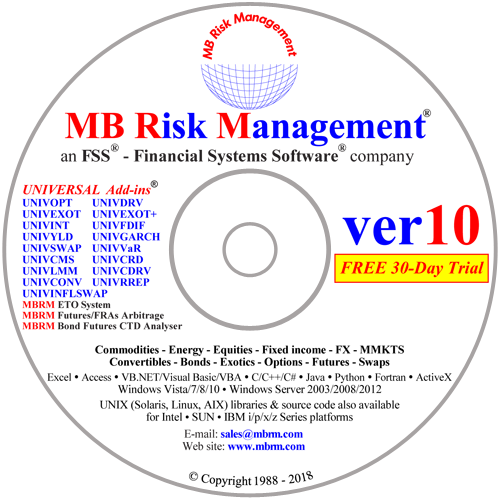 Useful for compliance and regulatory risk management purposes. Compatible with JP Morgan's RiskMetrics datasets. When UNIVVAR is combined with the UNIVDRV - Universal Derivatives Add-in, you can calculate Delta-Gamma VaR, as well as historical variances and correlations between assets. You can also generate simulations using historical Garch simulations and/or historical returns (without variance/correlation matrices) and display the resultant VaR numbers and return distributions.